Branding Irons from Nova Tool Co. 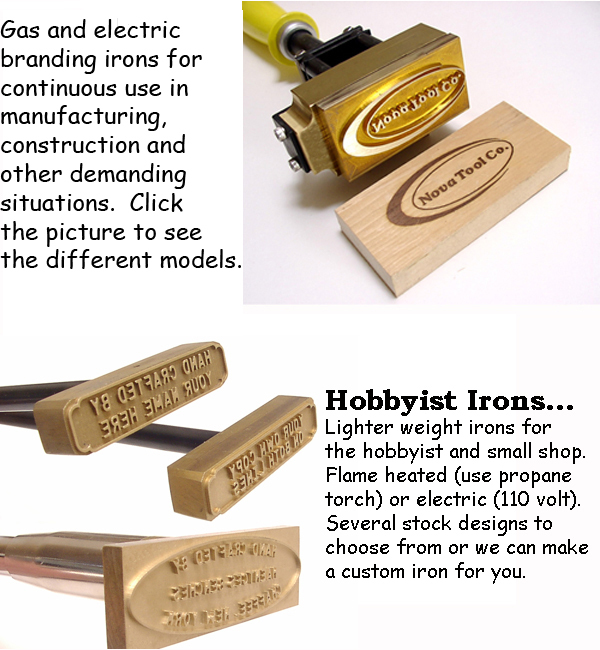 Heavy duty branding irons for commercial duty use and lighter weight irons for the hobbyist. Our branding irons are used throughout industry, all over the world. Use them to brand almost anything that will burn or melt. Can be made with lettering, lettering and your logo or just your logo. Give us a call to learn about branding your product. to go directly to the pages for that product.